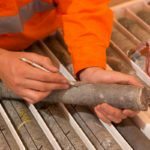 OZ Minerals now owns 100 per cent of Avanco Resources’ shares through subsidiary OZ Minerals Brazil as the $418 million acquisition of Avanco’s outstanding shares has moved to completion. The bid became a compulsory takeover when acceptances by Avanco’s shareholders moved beyond 90 per cent in June. The compulsory takeover led Adelaide-based OZ to acquire all remaining shares from the shareholders who have not accepted the offer. Those that accepted the offer include Glencore, Appian, BlackRock and Greenstone Resources, a London-based investment firm that previously expressed concerns that OZ’s offer (8.5 cents in cash and 0.009 OZ shares for every Avanco share to the value of $418 million) undervalued Avanco. Through the OZ-Avanco acquisition, OZ is in a position to expand its operations in the Carajás copper province and Gurupi gold belt in Brazil. Avanco boasts a strong copper portfolio that includes the Antas and Pedra Branca projects in Carajás. In January this year, Avanco acquired 100 per cent stake in the Pantera copper project from Brazilian major Vale. 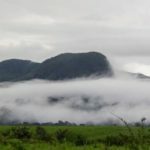 The Carajás province in Northern Brazil hosts the largest concentration of quality iron oxide copper gold (IOCG) in the world, where Avanco holds the second-largest tenement holding after Vale. 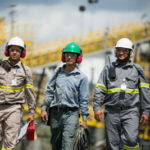 Aside from its strong copper portfolio, Avanco owns the CentroGold project, which is considered to be one of the largest, undeveloped gold projects in Brazil.